A Ho Chi Minh City court has sentenced a former intelligence officer to eight years in prison for crimes he committed in 2016, including threatening to reveal confidential documents to China and foreign media. He had stolen the information with the intention of using it to demand money from Vietnamese police to spend on some high-stake gambling in Cambodia. The People’s Court of Ho Chi Minh City found Nguyen Hoang Duong, 33, guilty of espionage and extortion of property in a ruling on Monday, handing him jail terms of seven years and one year for the respective crimes. He will serve eight years behind bars in total. 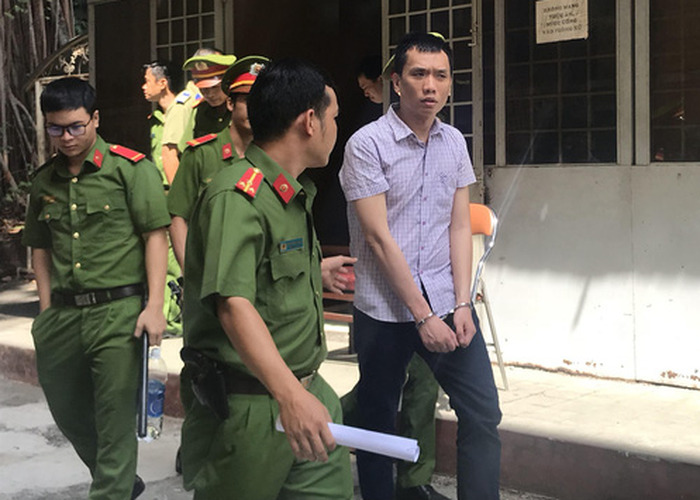 According to his indictment, Duong was an intelligence officer working at the Professional and Technical Services Department under Vietnam’s Ministry of Public Security. He took a leave between August 29 and September 26, 2016, but was found to have returned to his office in Ho Chi Minh City on September 18, 2016 to steal secret information. Duong used a CD to store classified police documents from a computer and intended to use it to blackmail Vietnamese police. He made his way to Cambodia the next morning, September 19, 2016, and soon lost all his cash to the games of luck there. Duong pulled a few more unsuccessful attempts to find his luck by using ‘emergency’ money sent to him by his younger sister and Duong Danh Kiem, the police chief at his division. Desperate, he took photos of the CD and used them to blackmail Kiem into sending him more money, threatening to sell the classified information to the Chinese Embassy in Cambodia and foreign media if his demand was not met. On September 27, 2016, Duong was captured by Cambodian police and handed over to Vietnamese officers, who allowed him to go home to write a report on his wrongdoings. Released, Duong once again made his way back to Cambodia for gambling, where he continued to lose all his money. Investigators found that Duong had made multiple attempts during this period to contact the Chinese Embassy in Cambodia and the Radio Free Asia broadcasting station with the intention of selling them the classified documents. On October 2, 2016, Duong was captured at an ATM booth in Cambodia as he was trying to withdraw money sent by a colleague. Duong had destroyed the CD before being taken into custody by Vietnamese police. He confessed to all of the charges at Monday’s court in Ho Chi Minh City.